The Medicaid program is relied upon by a high percentage of senior citizens who require long-term care. This is because of the fact that Medicare does not pay for custodial care. Medicare will pay for convalescent care for up to 100 days, but it does not pay for custodial care. It takes careful planning to be able to qualify for Medicaid if you have never been financially needy, because there are upper asset limits. The ceiling on countable assets is $2000 for an individual in most states. The $2000 figure may sound like an incredibly small number, but you should be aware of the fact that everything that you own does not count when Medicaid is determining your eligibility. Your home may not be considered a countable asset by the Medicaid program while you are still living. However, it can be in play during Medicaid recovery efforts after you pass away. There is a caveat to the above statement with regard to the value of your home. There is an upper equity limit. Because Medicaid is a jointly run federal/state program, the states have some latitude with regard to the exact parameters. The minimum upper equity limit that a state can allow in 2014 is $543,000, and the maximum is $814,000. The above is true for single applicants. If the applicant is married and his or her spouse is remaining in the home, there is no upper equity limit at all. Assets that are not counted by the Medicaid program would include one vehicle, your wedding rings and heirloom jewelry, household goods and personal belongings, very limited life insurance, and property that has been placed into certain types of irrevocable trusts. When you are preparing for the eventualities of aging, you should take long-term care costs quite seriously. 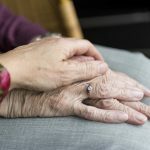 Nursing homes and assisted living communities are very expensive, and most people cannot easily absorb these costs out-of-pocket. 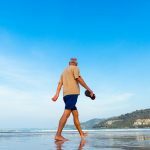 According to the United States Department of Health and Human Services, somewhere in the vicinity of 70 percent of Americans who are reaching the age of 65 will eventually need help with their activities of daily living. If you stick your head in the sand and hope for the best, you are defying the odds. In this post we answered a single frequently asked question about Medicaid planning. If you would like to obtain some comprehensive information, download our free special report. This report will clear up any questions that you have, and you can obtain access quickly and conveniently through this website. To get your copy of the free special report, click this link and follow the simple instructions: Complimentary Medicaid Planning Report.